* High efficiency CFM rated as “free air displacement”. 15 micron field rating. 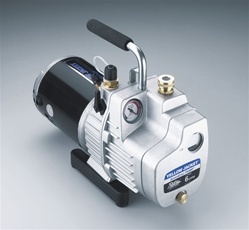 The lower the micron number – the better the pump. Two-stage design evacuates quickly to an ultimate 15 microns.